This course is designed to provide rural law enforcement officers with the nuanced legal aspects of arrest, search and seizure for narcotics offenses. This course covers the hazards associated with conducting drug interdiction operations in rural areas, the indications of narcotics activity during traffic stops, and the proper techniques for conducting vehicle searches for the detection and identification of drug traffickers. This class will prepare the rural officer to disrupt drug trafficking, identify precursor chemicals and trafficking methods, and process the organized criminal threat to the security of communities. A strong emphasis is placed on intergovernmental cooperation and information sharing among agencies to better address narcotics threats, money laundering and ties to terrorism. This course recognizes that many rural law enforcement officers have limited resources available. These limited resources include a lack of financial availability, equipment, personnel and back-up officers. This course will introduce low-cost or no-cost equipment for accomplishing interdiction missions and provide options when back-up officers are not available. 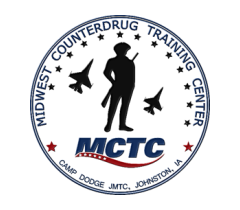 Drug Interdiction Patrol Tactics in Rural Areas is a 3-day (20 hour) course.